In November, not only Microgaming has brought out a new Slots, Play’n GO, Quickspin, and self-Bally Wulff has new slot machines in the offer. As the games are, and what peculiarities there are, I want to show in the Following. Microgaming had released at the beginning of the month and already the Video Slot, Phantom of the Opera, and in the last week with Lucky on the left of another Slot online. 22. November followed also King Tusk. Play’n GO has also last week, the Slot Fu He Dai the Casinos available in a quick spin, it was the title of Mighty Arthur, the has been included in the product portfolio. Self-Bally Wulff has published a few days ago the Slot Acorn Pixie online. Yesterday, Betsoft has also released the Slot Stampede. The three new slots from Microgaming are from different categories: Film, Safari and lucky slots. I will talk about the games briefly in the Following. 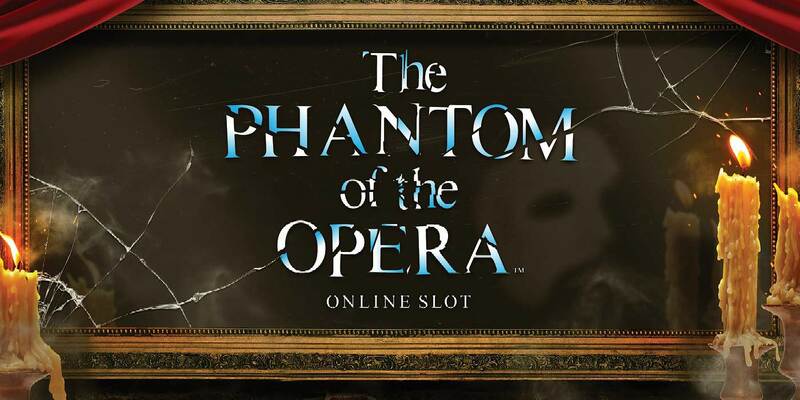 With the Slot machine Phantom of the Opera, Microgaming had brought out a new 243-way slot on the market, on the movie from 2004, was based. The symbols are the different characters of the film, in addition, roses act, binoculars, Opera sheets, perfume atomizer and monkeys as a low character. As a Scatter, the mask of the phantom. There is also a Joker with the words “Phantom of the Opera”. Regardless of these bonus games, there are still some bonus features. The letter-Bonus, which is randomly executed. It’s supposed to symbolize the letter from the Phantoms that have been sent to the owner of the new theatre, in order to make his claims. If a letter appears, the price given for a money. In addition, there is a chandelier Bonus, which is reminiscent of the scene when the Phantom threw out of anger a chandelier. In the game 2 or 3 reels are filled with Wilds. Inserts are between 30 cents and 15€. The maximum profit is 7.733 times the bet, which can be a maximum profit of up to 116.000€. The payout rate is 96,57%. I have played the Slot a few times and all the Bonus Features once had. From my point of view, the make free games with dance Wilds most sense, since I had been there, the highest profits. The letter Feature has brought me only 2€, as I’ve played to 20 cents, so it is not so. With the chandelier Bonus, you can have much more happiness, as can images. Overall, I have noticed that you get in the base game, often more, as in the case of the bonus games. With King Tusk Microgaming 22. November brought a Safari-Slot in the Online Casinos. It is a traditional 5-reel Slot with 3 rows. In addition to Numbers and letters, there are 3 different elephants-symbols – one of which is a Wild with an identical inscription. Otherwise, there is a pot of gold and a sign with the inscription King Tusk as a Scatter. King Tusk was the largest living elephant. He was actually called Tommy and was elephant a circus. Tusk Tusk translated means. At the age of 42, he weighed in at 6.7 tons, was 3.8 meters high and had a length of 8,22 metres. His Tusks were more than 2 meters long. In 1992, he was already running, no more Tricks, he suffered from Arthritis. In 1998, he came in an American Zoo. In 2002, he had to be in Florida at the age of 57 years put to sleep. In the base game already has a Mystery Wild Feature, in the case of the completely random group tramples elephants on the Slot and some of the fields with additional Wild symbols covered. Quickspin has brought with Mighty Arthur theme for a Slot about the legendary king. It serves, however, only relatively coarse, the legendary figure, Merlin, and Guinevere. Otherwise, you can find the allusion to the myth only in the bonus features. So Merlin can randomly appear on the reels. He is not only a Wild Symbol on the whole reel, but also distributes up to 6 Wilds on the other Reels. If Arthur appears with his sword, Excalibur, be the 3 middle reels to Wilds, the Chance for full images increases significantly. Of course, there is also the possibility of free spins when you get 3-times a sign with the inscription Bonus. Otherwise, not much changes for the Free Spins but Merlin will appear much more frequently. Inserts are here, from 20 cents up to 100€. During normal Spins only the 150-fold of the insert is possible, therefore, to€ 15,000. The payout rate is 96,94%, which is actually relatively high. I find that the Slot is very high quality and with suitable background music produced. Unfortunately, it is not very often has profits, there are many thirst – haul so I had 20 cents, use just 5€ maximum win.